This entry was posted in Workers' Compensation and tagged United States, WILG on February 4, 2016 by Charlie Domer. 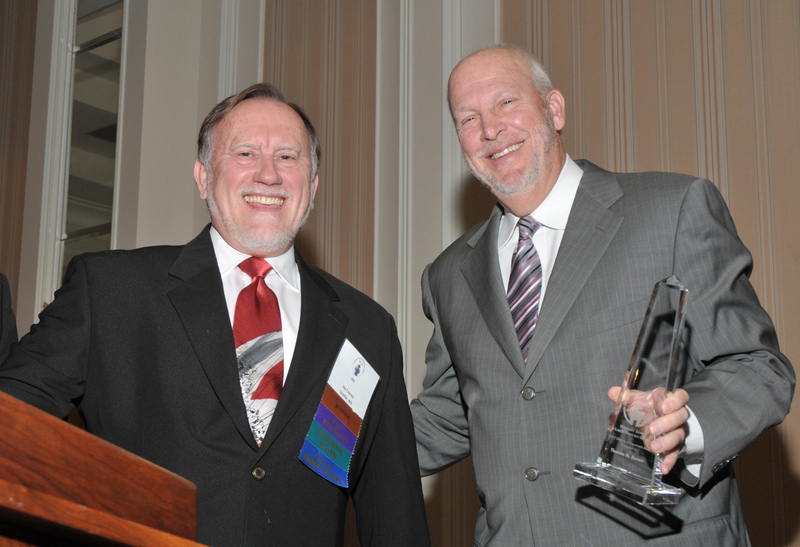 On October 12, 2012, Thomas Domer received the Lifetime Achievement Award as part of the Workers’ Injury Law & Advocacy Group (WILG) annual convention. This is no small honor. The lifetime achievement award “is reserved for those individuals who have gone above and beyond the norm, and who continue to play a vital role in supporting WILG and advocating for the issues important to WILG’s mission,” which involves representing the interests of injured workers and their families. As part of the ceremony, the co-editor of Wokers’ First Watch, Jay Causey from Washington, provided a moving and thoughtful introduction. Tom graciously accepted the award and spoke about his long-term commitment to workers and serving others. It was a fantastic evening and a fitting and deserved tribute. Join me in congratulating Tom in his career of achievements. This entry was posted in Firm News and tagged Lifetime Achievement Award, Thomas Domer, WILG, Workers' Injury Law & Advocacy Group on October 29, 2012 by Charlie Domer. Last fall I participated in meeting in San Diego with other lawyers who represent injured workers. We are part of the Workers’ Injury Law and Advocacy Group (WILG), a network of like-minded advocates for workers’ rights, sharing information and knowledge, a sense of commitment and kinship, and networking to help each other and our clients. I made a presentation on Workers’ Compensation Ethics and was challenged by my colleagues penetrating and sometimes perplexing questions and issues. Meetings on a national scale help to provide some perspective on the practice of representing injured workers. This entry was posted in Uncategorized, Workers' Compensation and tagged WILG, Workers' Compensation Law and Advocacy Group on January 30, 2012 by Charlie Domer.